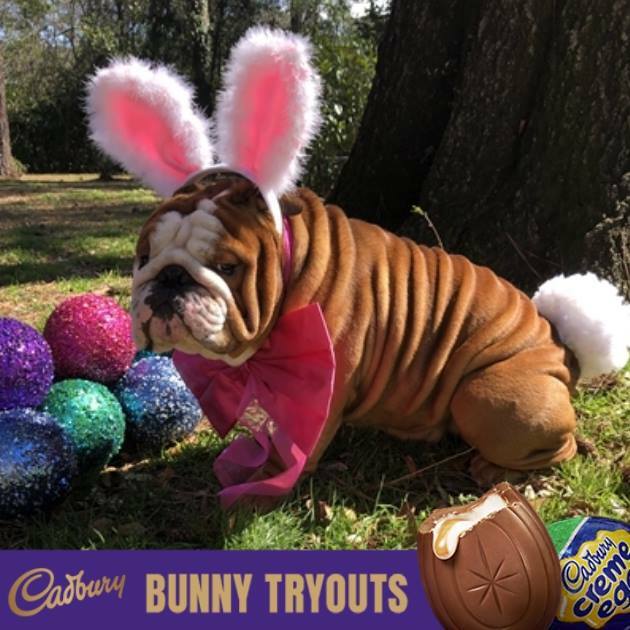 The winner of Cadbury's first ever "Bunny Tryouts" is an English bulldog from Wilmington, North Carolina, named Henri. 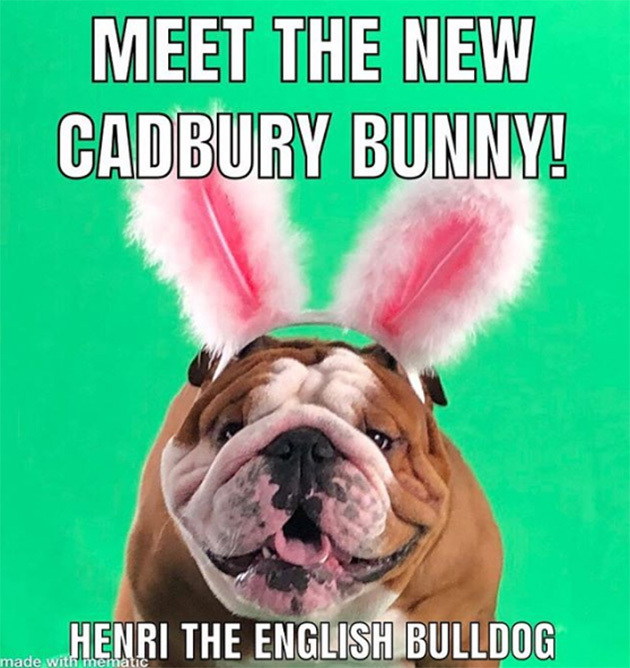 Henri will star in Cadbury's iconic annual commercial this year -- an ad that has been running for more than three decades. 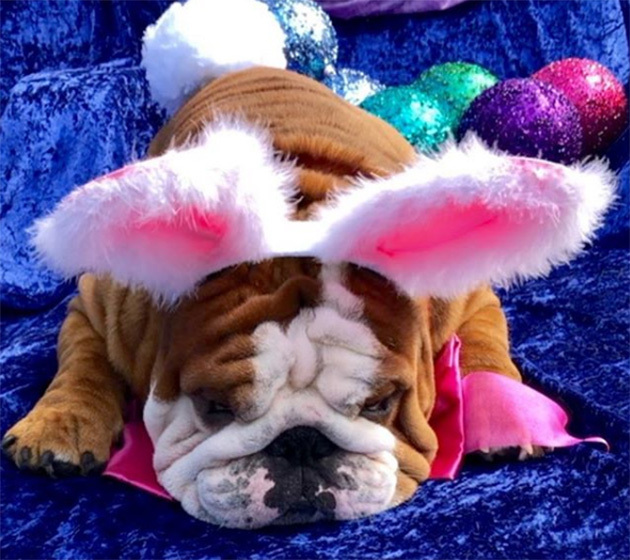 Pet owners across the U.S. snapped and submitted photos of their beloved companions wearing bunny ears. 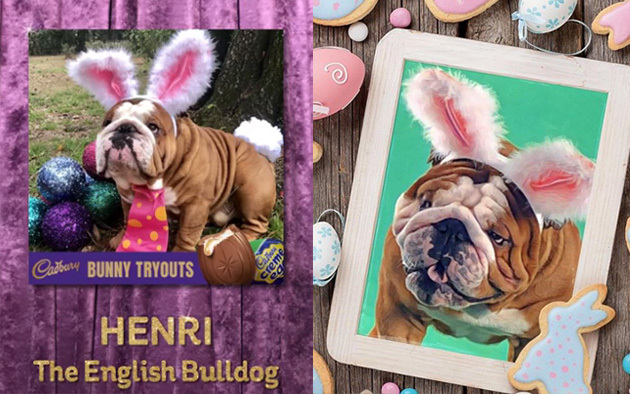 Henri beat out more than 4,000 contestants to be crowned this year's Cadbury Bunny. "I am super Egg-cited that I get to be the next Cadbury Bunny!!! Thank you to everyone at Cadbury USA and of course Doug The Pug for being such an Egg-cellent Judge!! Also Big Hugs to all the entrants!! Looking so forward to the commercial," his owners wrote on behalf of Henri on Facebook. Cadbury's new commercial will be released in April. Positive, Upbeat Media. Live. Laugh. Love. Copyright 2012 - 2017 CK Media Group. All Rights Reserved.